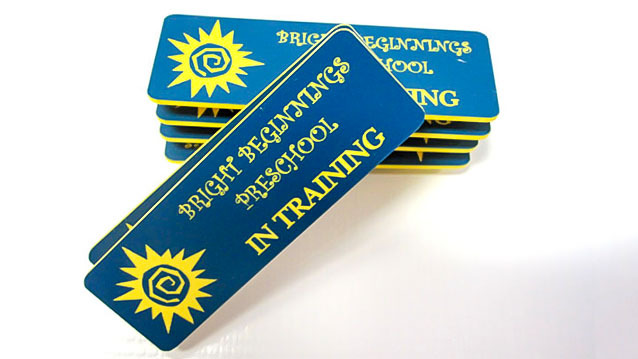 Name Tags - Hightech Signs, Inc.
Hightech Signs is Charlottesville’s best source for custom printed name tags and badges. With magnet backers, pin or adhesive, our quality name plate tags can be custom ordered according to your needs. 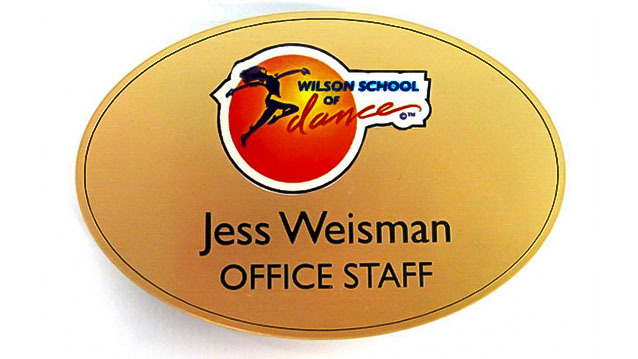 We engrave name tags from acrylic for a long-lasting, professional style. 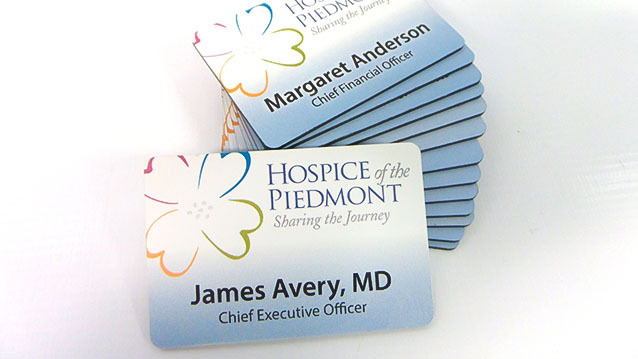 We produce UVA name tags, car dealership tags, hospital badges and office name tags for the organizations throughout our community. Need a custom logo added to your name tag? We are able to reproduce your design. 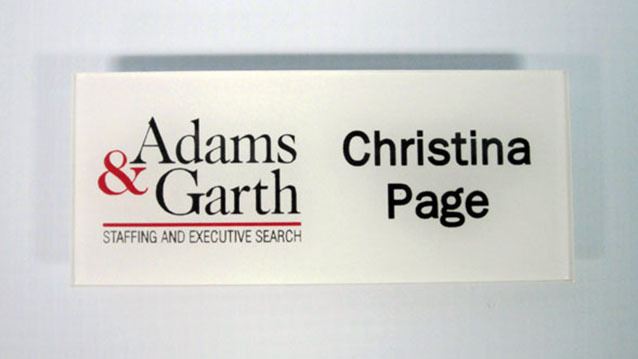 We can duplicate name tags from other shops, matching materials and fonts for a continuity across your staff.